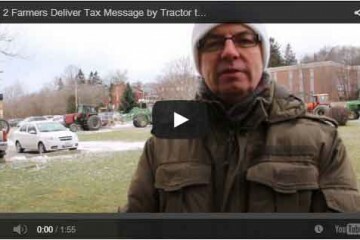 The roar of the tractors and protesters seems to have fallen on deaf ears, as inside the packed, standing-room only Council chamber, Port Hope’s Council passed by-law 32/2014 moving roughly $1 million of tax burden to Ward 2, and in so doing, overturned a longstanding policy of not shifting tax burden from one ward to the other. Enshrined in the Amalgamation Agreement in 2001 (between the then Town of Port Hope and then Township of Hope) was a policy that tax burden would not be shifted from one ward to the other. This policy survived 11 annual by-laws until 2012 after which it quietly disappeared from the rhetoric. 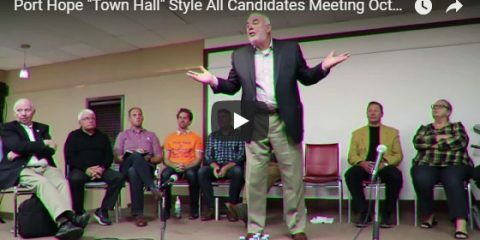 In 2013 when the policy disappeared, Council was in full swing trying to gain support for what they realized would be an unpopular choice with Ward 2 residents. Little did they know how unpopular: last February, 81% of Ward 2 residents signed a petition saying they wanted to leave the amalgamated municipality. Like the feedback from the rural members of the Council-appointed Area Rating Citizens Working Group (ARCWG), the subsequent Focus Group, two flawed feedback questionnaires mailed out to both wards, and four open houses, the message conveyed to Council was met with a deafening silence and lack of justification for the change in policy by Council. If iron determination were the highest accolade one could bestow on a council, this council would achieve it. The division caused in the community between the two wards by this shift of tax-burden was ironically met by accusations from some Ward 1 councillors that those standing up to Council’s position were sowing the discontent. 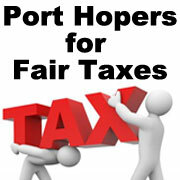 Port Hopers for Fair Taxes (PHFFT), a group of concerned residents who have repeatedly attempted to work with Council to come up with a fair and equitable approach to tax distribution, and who themselves held three public meetings to inform the community, are shocked at the insensitivity and disregard displayed by Council for the expressed opinions of the community through the various feedback-vehicles. Bill Bickle, a founding member of PHFFT and also an appointed member of Council’s ARCWG, says “this council made up its mind to make this change and nothing was going to get in their way, especially not policy, history or facts”. When a member of the public asked Council if they felt they were abiding by the policy of not shifting taxes, the Mayor replied yes and none of the other councillors chose to respond. When asked if the Low Level Radioactive Waste (LLRW) interest belonging to Ward 2 residents would be used to directly defray tax burden, the Mayor replied that the interest would be used to reduce costs which indirectly reduces taxes. Port Hopers for Fair Taxes continues to fight for the direct defrayment approach consistent with its interpretation and spirit of the original agreement with the Federal government. 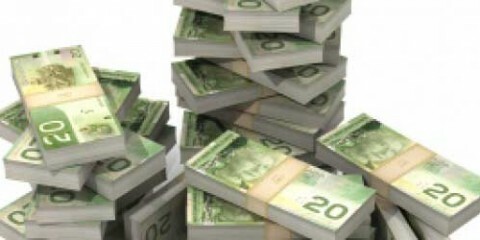 Port Hopers for Fair Taxes will now turn its attention to tracking the use of the Ward 2 LLRW Trust Fund monies since amalgamation, and to ensuring that the terms and conditions of the Trust Fund are fully understood and followed by Council and Staff. PHFFT will also be concentrating on the pending election and the search for candidates who will represent the interests of Ward 2 residents, farms and businesses to retain their rural lifestyle, lower service levels, and corresponding lower taxes which they enjoyed prior to amalgamation. Port Hope Election 2014 Poll – Which Councillor Would You Vote For Mayor? Here's the FACT SHEET by Port Hopers for Fair Taxes that was a handout at the Sept. 3, 2015 RAWG meeting. And if you missed the Port Hopers for Fair Taxes event, "Port Hope Taxes 101", at the Lions Centre on March 18, 2014, you can download the slideshow presentation here in PDF. Keep up to date with our public Facebook page! Note: You do not need a Facebook account to view it. News in the Facebook box below are clickable.